Description Pakistan Rice Complex (PRC), winner of the best Export Performance Trophy for the year 2008-2009. The Management of the Pakistan Rice Complex has been in the trade of rice since almost 4 decades. 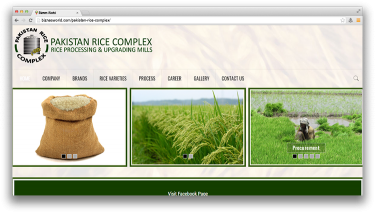 The present Pakistan Rice Complex was established more than a decade ago. The initial concern was to give services to those exporters who didnât have the rice processing facility. Address A-26, SITE II Super Highway, Karachi.